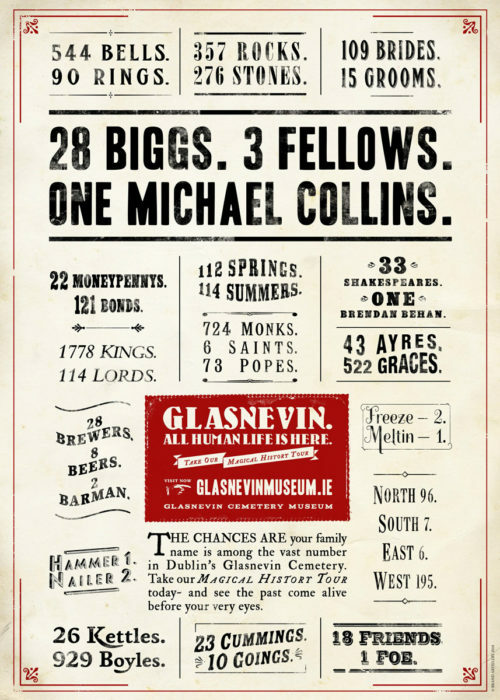 The official poster (Second Edition) as created exclusively by Brand Artillery for Glasnevin Cemetery. Handsomely printed lithographically on premium Munken Pure Rough 170gm, extra-tactile uncoated paper with an antique finish. Shipped in a sturdy tube complete with unique address label and packed with acid-free tissue paper for protection. 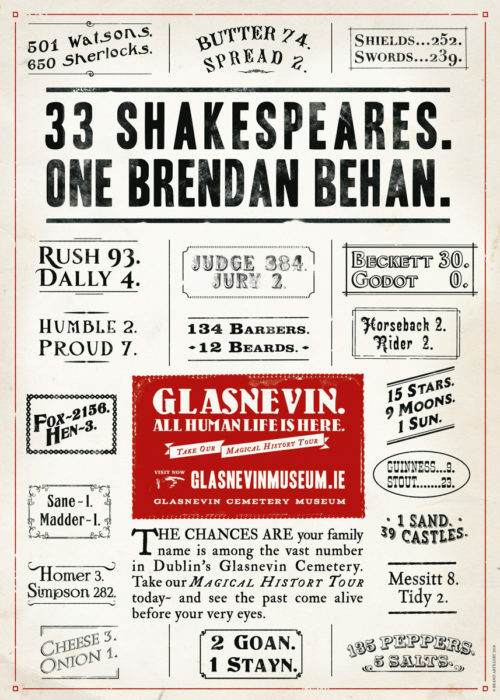 This is the original of the Glasnevin posters, which became a hugely popular favourite as well as sweeping the boards in creative competitions. The First edition sold out and this updated new Second edition is likely to follow suit. 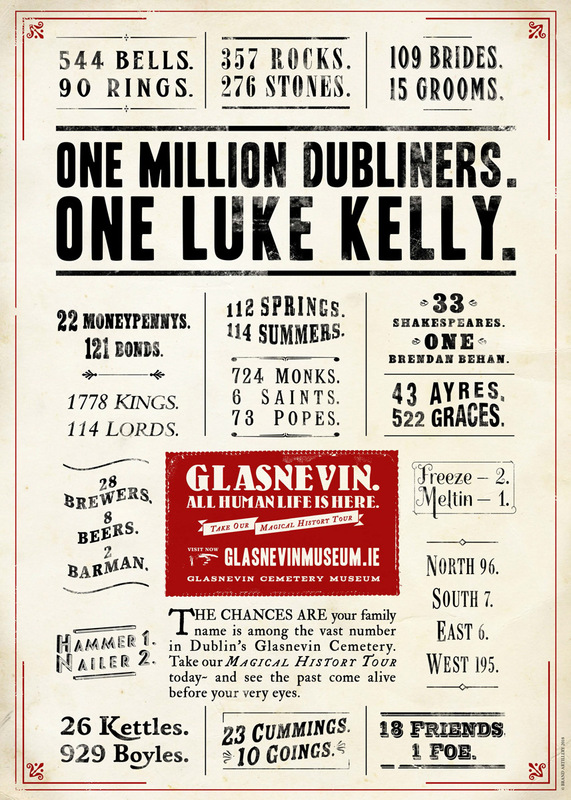 It celebrates folk singer Luke Kelly of the Dubliners, one of Glasnevin’s most popular residents. 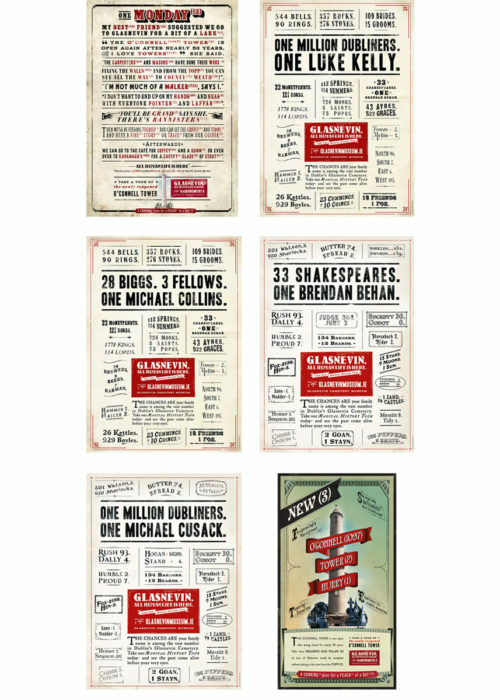 I loved the ad campaign and am delighted to see these posters for sale. Bought this one, quality excellent, I’ll be back for more from the set. Loved this ad campaign and only recently went looking to see if prints were available for purchase so this is good timing! Bought one as a gift for a former Glasnevin resident but will probably be back for my own soon!